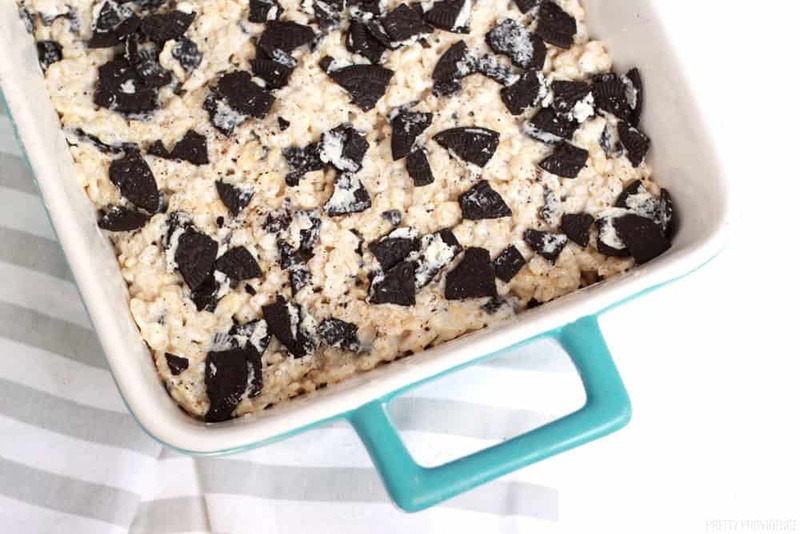 This no-bake Oreo Rice Krispie treats recipe is to die for! You will love the combination of cookies and creme with marshmallow treats! My daughter has really gotten into helping me make treats lately, which is so fun. I kind of feel like my mom dreams are coming true when she asks if we can make something together. When I am trying to avoid sugar and junk food, she is my greatest weakness. How can I say no to her cute little face asking me to bake with her? Sometimes I say no, and sometimes I give in. 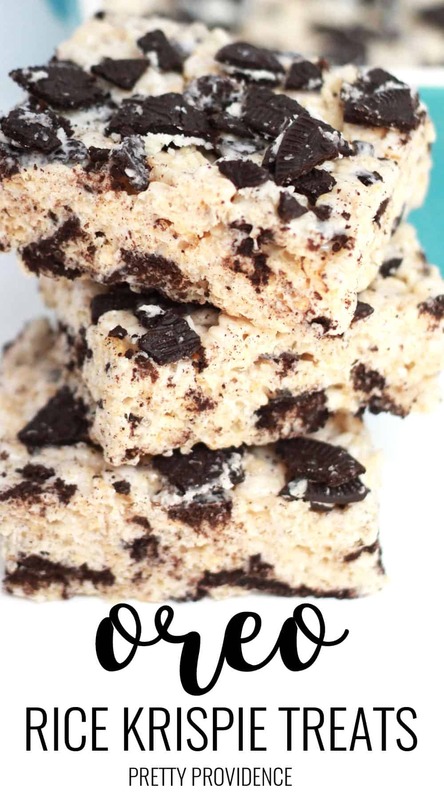 Last week we made these delicious Oreo Rice Krispie treats and they were a hit all around! No regrets! 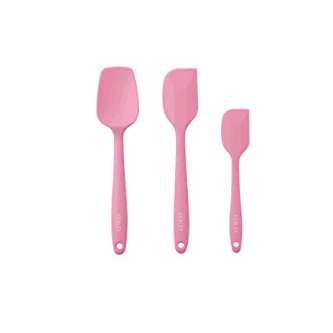 I did send half the pan to work with my husband the next day though because I couldn’t stop eating them. 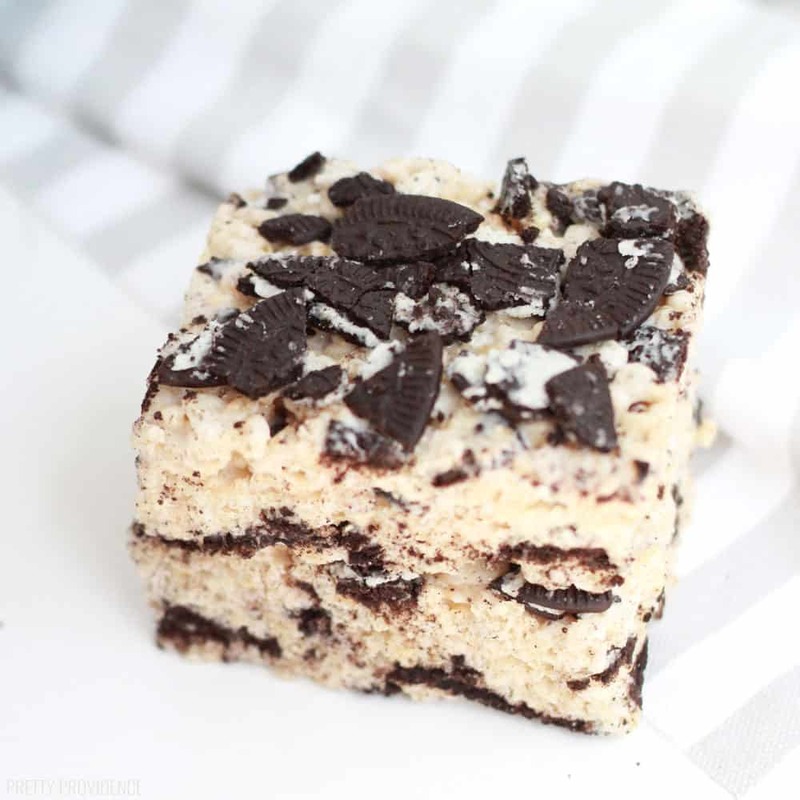 This is a perfect no-bake dessert. It only takes a couple minutes to whip up, but tastes decadent. 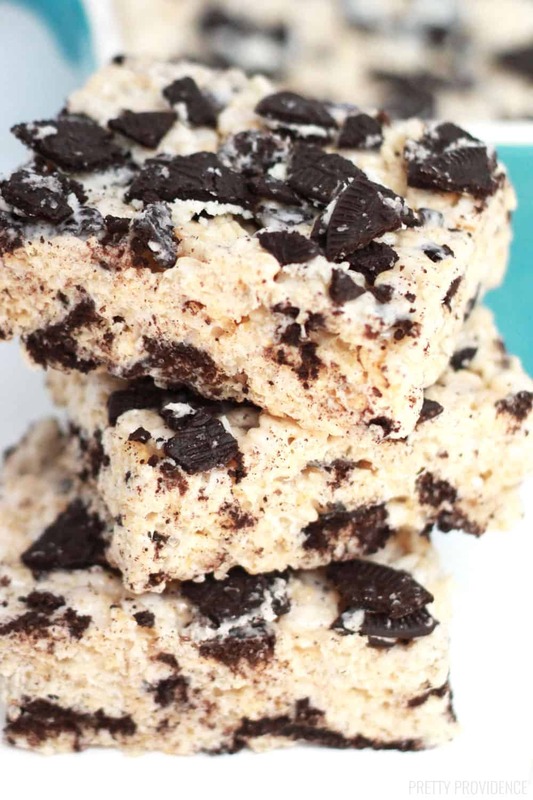 Oreo Rice Krispie Treats are one of the best Oreo dessert recipes ever! It's no-bake too! 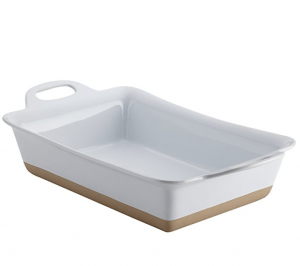 Grease a 9x13 baking dish with cooking spray. Coarsely chop Oreo cookies and divide in half. In a large microwavable bowl, melt butter for 45 seconds or until melted. 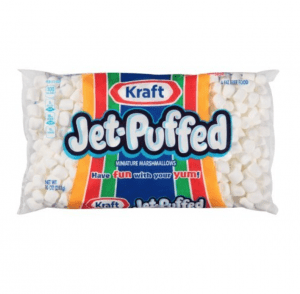 Add marshmallows and toss to coat. Microwave in 30 second increments, stirring between, until marshmallows are melted and well-mixed. Add Rice Krispies and the first half of the Oreo cookies to the bowl. Mix well. Pour into 9x13 dish. Pour the remaining chopped Oreos on top of the mixture and press down lightly to secure. Let the treats fully cool before serving.